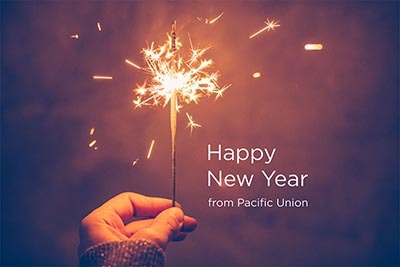 All of your friends at Pacific Union would like to wish you a very happy new year. Whether you welcomed in 2018 with a night on the town or simply spent a relaxing evening at home, we hope that the coming year brings you nothing but the best. And if you have a new year’s real estate resolution, we wish you much success in achieving your goal. We’ll return tomorrow with more news, exclusive features, and expert analyses on California and Bay Area real estate.